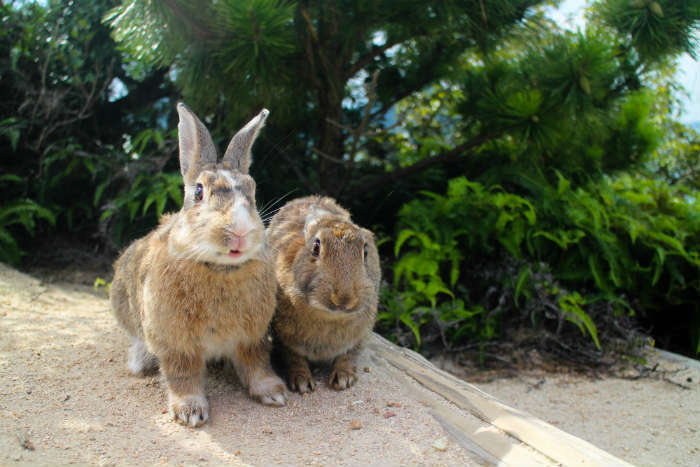 Okay, so you’ve got to travel a fair way to get to Okunoshima but when you get to spend the day being surrounded by cute, fluffy rabbits, it’s more than worth it. Hunting and dogs are banned here and so these adorable creatures are allowed to breed like, well, rabbits and they’re pretty tame too. Where else could you sit down and be mobbed by ALL the rabbits? 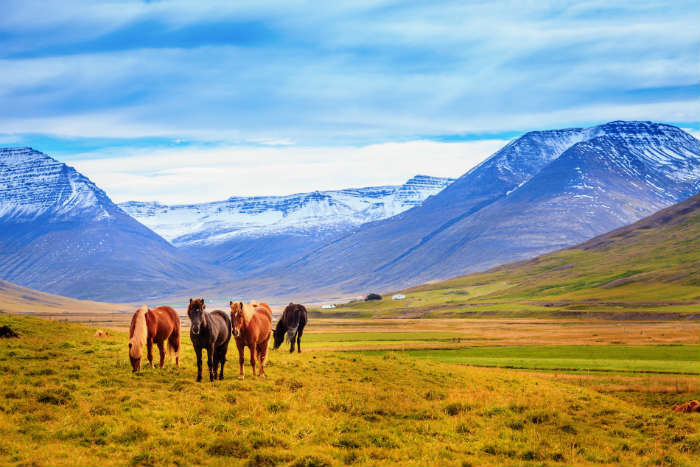 No matter where you go in Iceland, you’re bound to see these pony like animals. The Icelandic Horses are one of the icons of Iceland but originally came over from Norway. Although they’re mainly used for farm work and taking care of the land, you’re also able to go on a riding tour with one of these beautiful creatures to see Iceland in a unique way and they also make for some super Instagrammable photos too. Now, these pigs have drawn some attention on the news in the past few weeks. 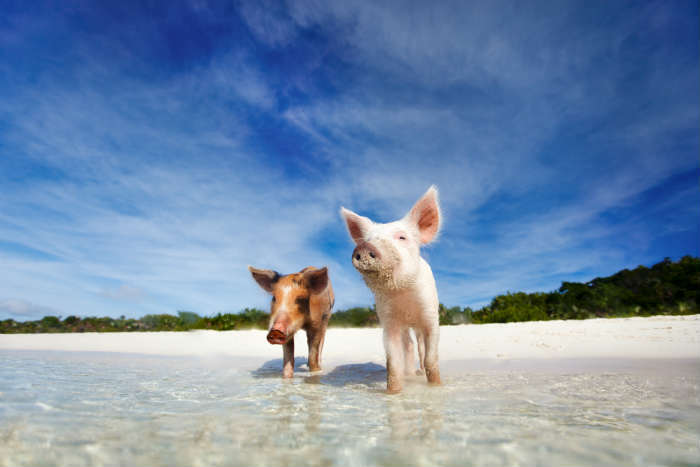 There’s been tales of tourists giving the pigs on Big Major Cay rum and mouldy food which has unfortunately led to the death of some of these creatures. 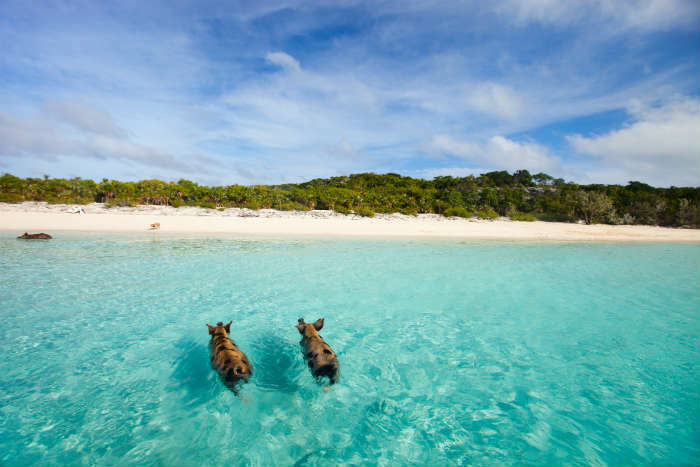 Although some survived, there’s not as many as before but White Bay Cay is another location in the Bahamas where these cheeky pigs live and they’re ready for you to go visit! No one’s quite sure how they got to the Bahamas but it definitely looks like they’ve settled in and made it a permanent home. 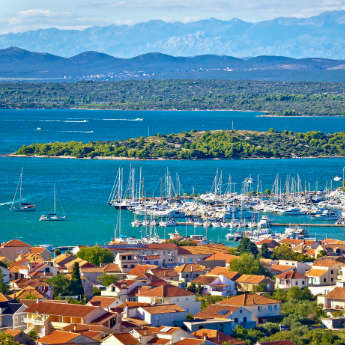 Who wouldn’t though with sand and sea as picturesque as that? 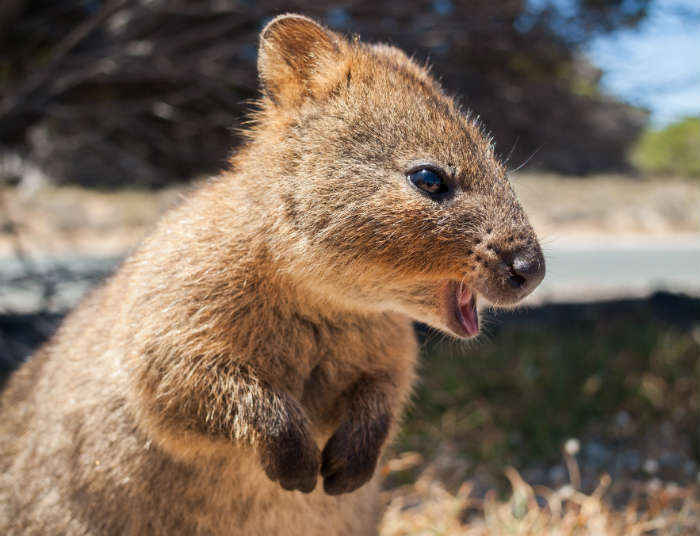 This one is even further than Japan but you get to spend your time on an island that’s pretty much paradise and spot these eye-wateringly adorable animals called Quokkas. 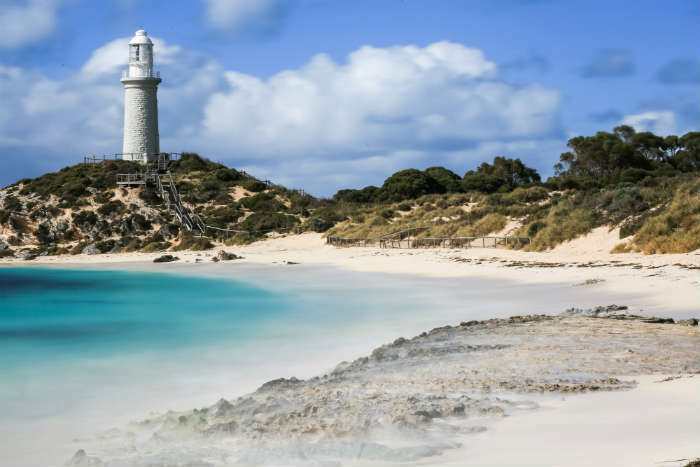 They’re marsupials that are native to Rottnest Island and as there are around 10-12,000 of them on the island, there’s a pretty good chance you’ll be able to spot one or two! If you come after May, you may be able to spot a joey peeking out of it’s mother’s pouch. Now that would be a double dose of cuteness! Ever fancied getting up close and personal to a dragon? 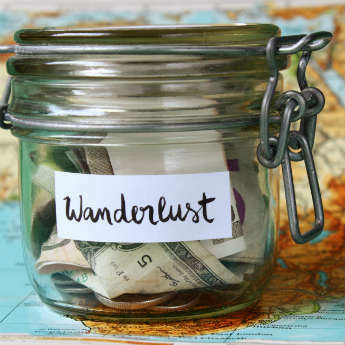 Well, here’s your chance! Okay, so you might not be able to get as up close and personal as you want, these Komodo Dragons can be pretty scary, but they are magnificent creatures. 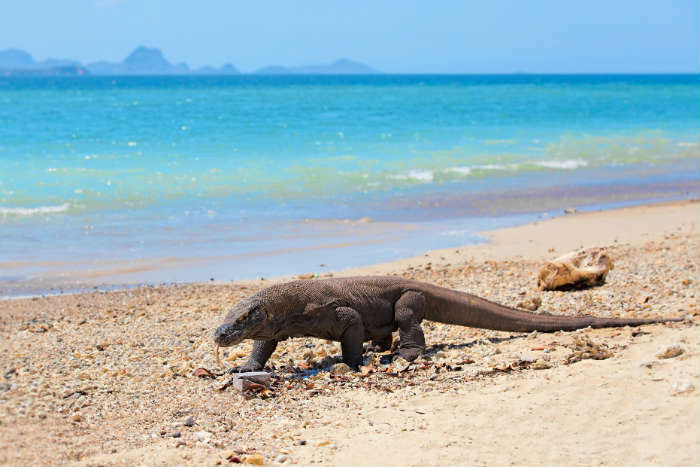 A guide will take you around the rugged and hilly terrain of Komodo Island and show you how these 3 metre long dragons live and survive on the island where the main purpose is to conserve these creatures. And it looks like they’re doing a pretty good job since there are now at least 2500 komodo dragons roaming around on the island. 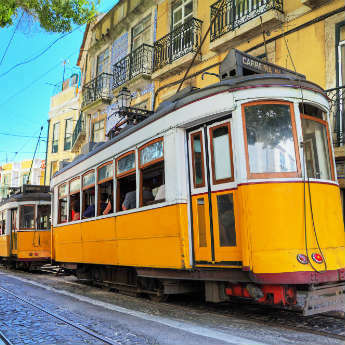 Have you been to any of these islands before? Let us know in the comments below!